Donna Britt says challenges remind us what is important in life. 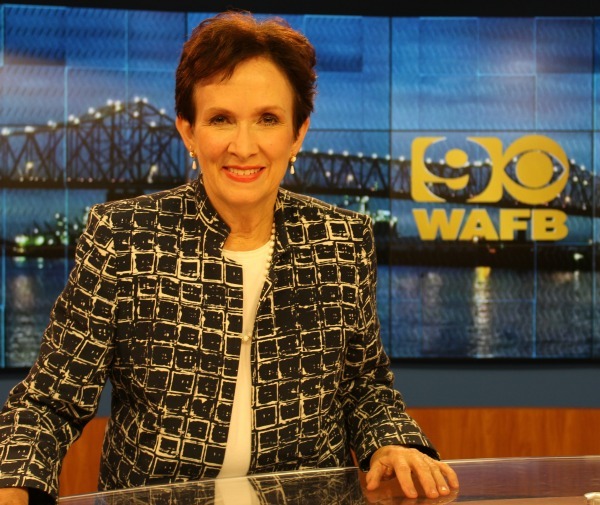 That foundation has endeared her to the Baton Rouge viewing community as she serves her 36th year as anchor for WAFB Channel 9 News. “I feel like God led me to be in television,” she explains. Her own story of resilience demonstrates a commitment to make the most of God-given gifts in the face of both personal success and loss. Her current challenge is a continuing battle with a progressive disease recently diagnosed as ALS, amyotrophic lateral sclerosis, better known as Lou Gehrig’s disease. The condition causes her immune system to attack her nerves, resulting in partial paralysis that affects her ability to walk, use her hands and breathe. But her incisive mind and the twinkle in her eye testify to her ability to face a tough truth head-on with a deep sense of peace built on faith. “I was born again at age 6 and was in the church every time the door was open,” she said. She played the piano and organ for hundreds of funerals and weddings. While serving at a Southern Baptist church in Florida, Donna’s mother gave birth to her fifth child. The baby survived, but Donna’s mother died in childbirth. At the age of 9, Donna and her siblings were sent to live with their grandmother. 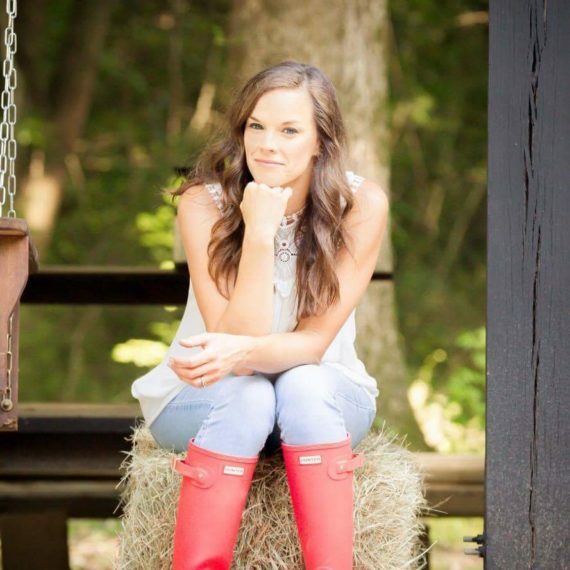 When her father remarried, they moved to Biloxi where he became a teacher. The family spent weekends helping breathe life back into dwindling churches in small Mississippi towns. Her father preached, her stepmother led the music and Donna played the piano. “We had seven kids so sometimes we were double the congregation,” Britt said. 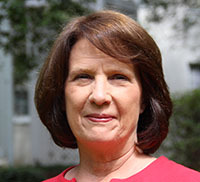 Two of her brothers followed her father into the ministry, while Donna pursued her love of music at the University of Southern Mississippi. She later transferred to LSU to complete her degree in music education, and she became flag choreographer for the Tiger Band. 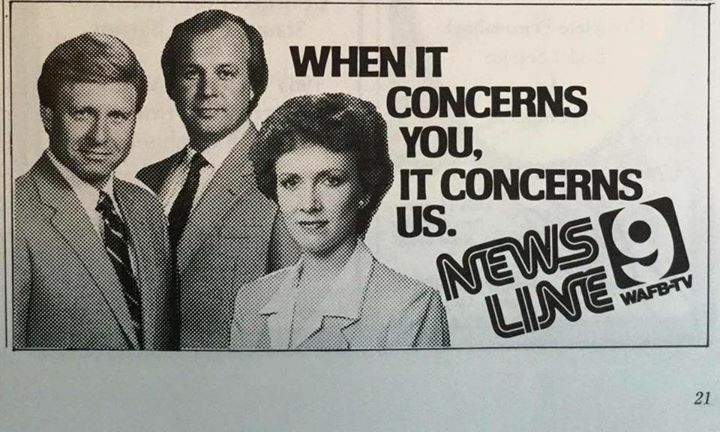 She worked at WLBI in Denham Springs to make ends meet, and later at WYNK, where she met her future husband, Mark Ballard, Capitol News Bureau Editor for The Advocate. They celebrated their 36th wedding anniversary in August. “The summer we got married, two of my three sisters also got married. 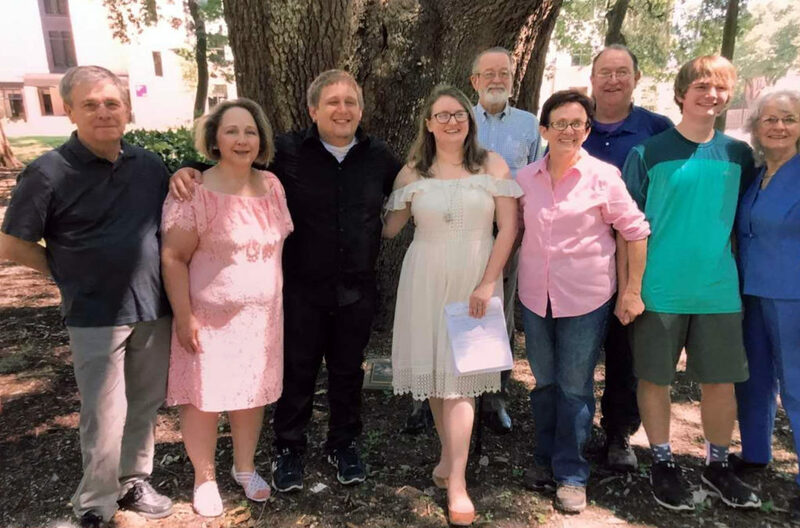 Our dad exclaimed, ‘A thousand dollars to anyone who will elope!’ Mark and I never got the money, but we had a casual wedding under a tree behind the Greek amphitheater on LSU’s campus.” They sliced a watermelon instead of a wedding cake. 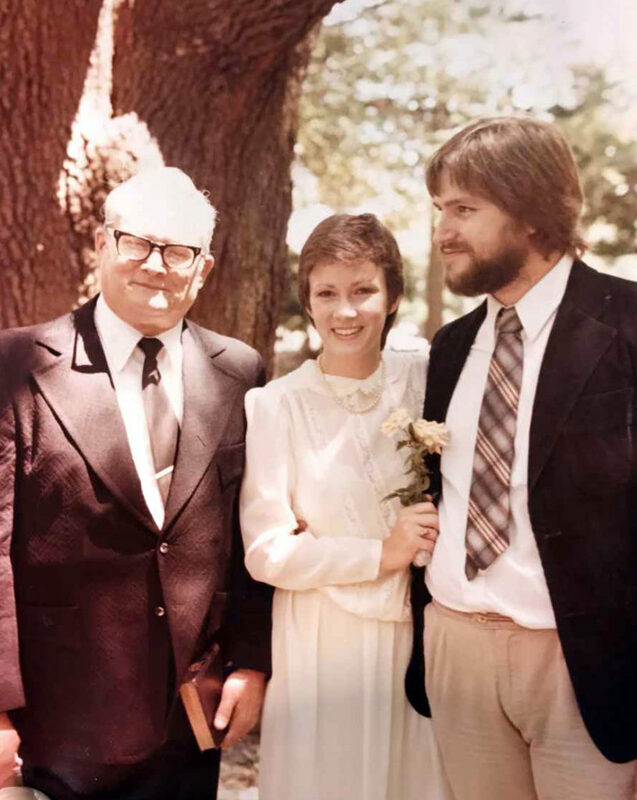 Donna Britt’s father, Dan, performed the wedding ceremony for Donna and Mark Bllard in 1981 beneath a massive oak tree in a clearing behind LSU's Greek amphitheater. 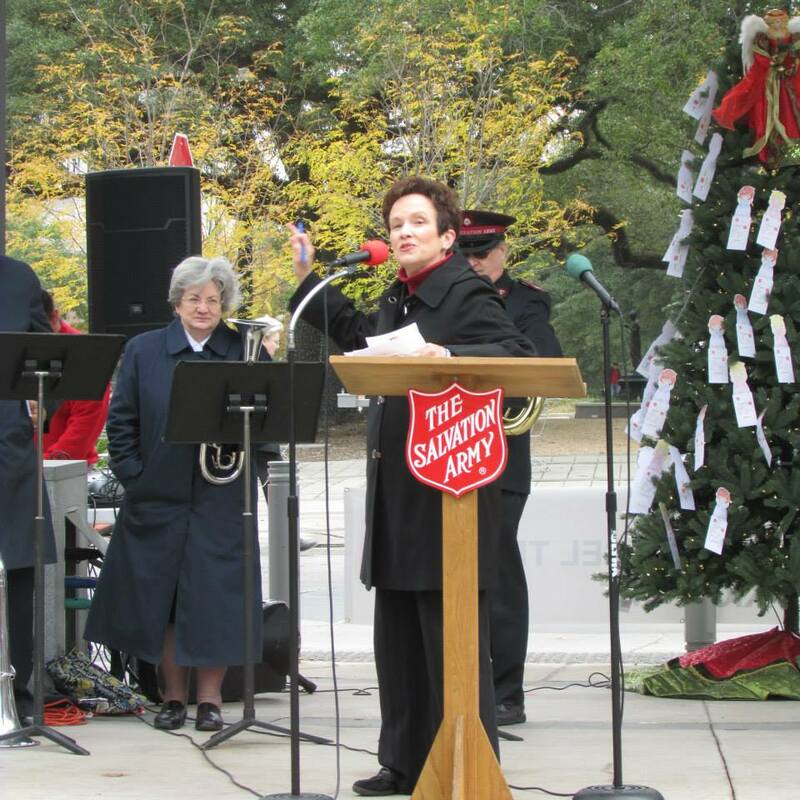 With help from Donna, the salvation Army holds its red Kettle Kickoff in North boulevard town square. 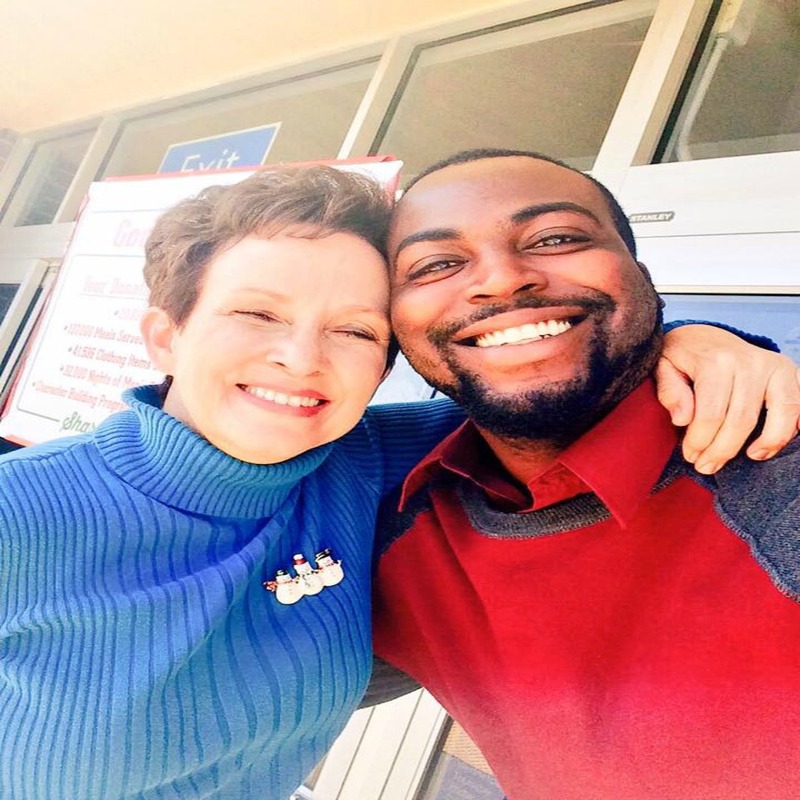 Donna poses for selfies with shoppers at the College Drive Walmart on Mondays and Fridays during the Christmas season. Here, she greets Kendrick slan. “I just wish that churches would teach children not to see color, because children grow up in homes where their parents are racists, and they turn into racists, too. I keep thinking that racism will die out, but I see young children today that have grown up in that kind of family and feel afraid of someone who’s not like them,” she said. “Jesus would go in the middle of it.” Donna and her family found both inclusiveness and in-depth preaching at First Methodist. “Our doors are always open, and they do mean that,” she said. Her door remains open, as well. 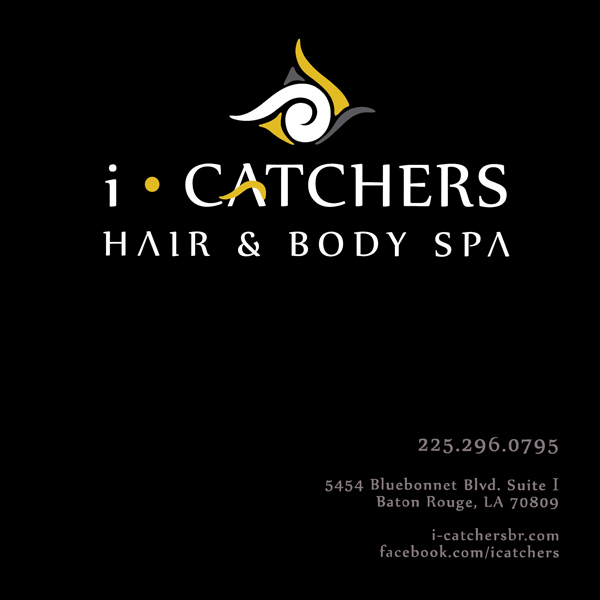 She would like to pass along the volume of information she has gained through her experience with ALS, including the discovery of an LSU voice bank that allows her to record a thousand phrases in her own voice for future use. 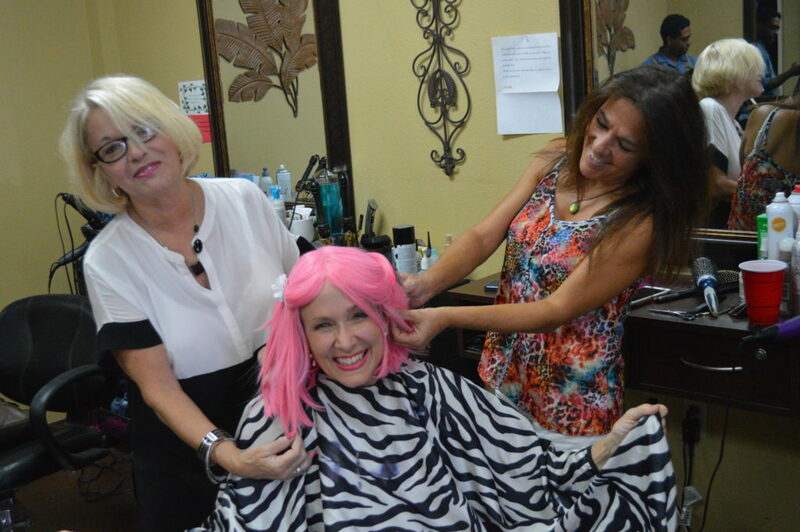 Donna with hair stylists for 2016’s “big Wig” fundraiser for susan G. Komen. Susan Brown began her career in radio news. 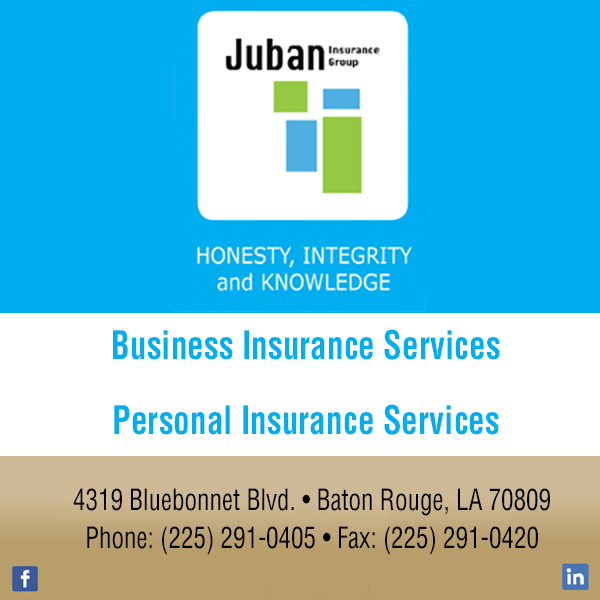 she was news director for WJBO/WFMF radio and a journalism instructor at LSU. 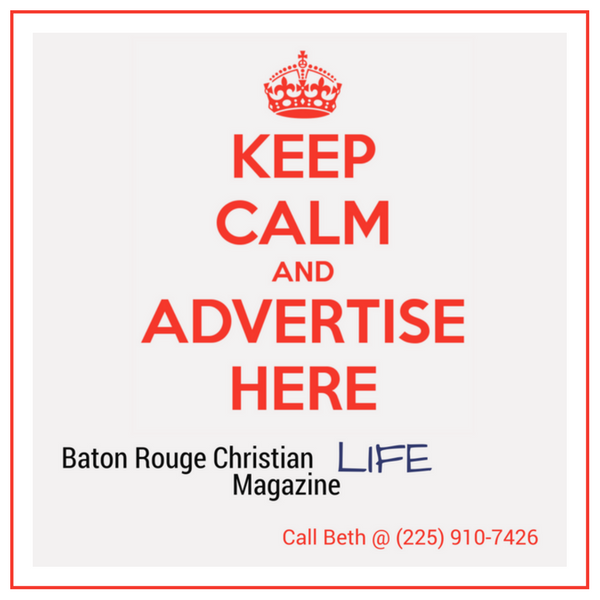 She holds Master’s Degrees from LSU and New Orleans Baptist Theological seminary, and served as a chaplain at Louisiana Correctional institute for Women. 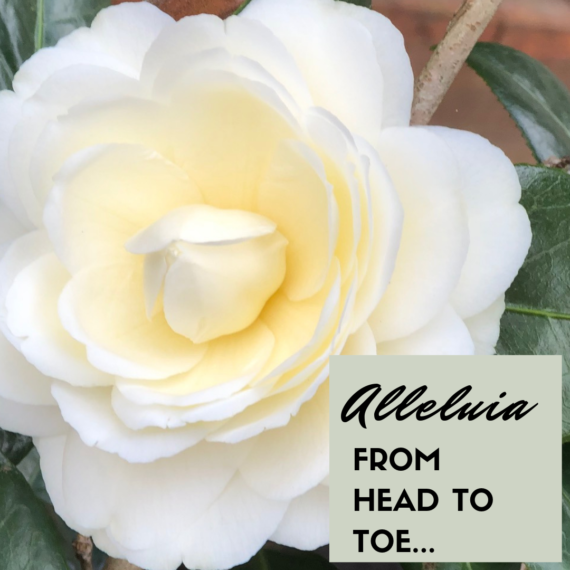 A Hallelujah from Head to Toe, Is anything in the way of your hallelujah? ANOTHER MARK OF INTEGRITY: Walking with God (Part 2). 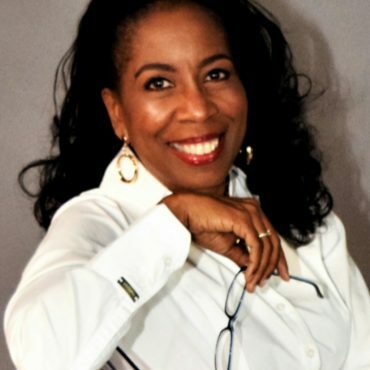 Welcome Award Winning Author Donna Renay Patrick! Responding to Worship…..
Is it dead or alive? Great story about real life in Christ. We believe that regardless of denominational affiliation, age, race, testimony, field of work, etc., if you have been made new in Christ, you are part of one body of believers, redeemed, set free and serving the same living God.